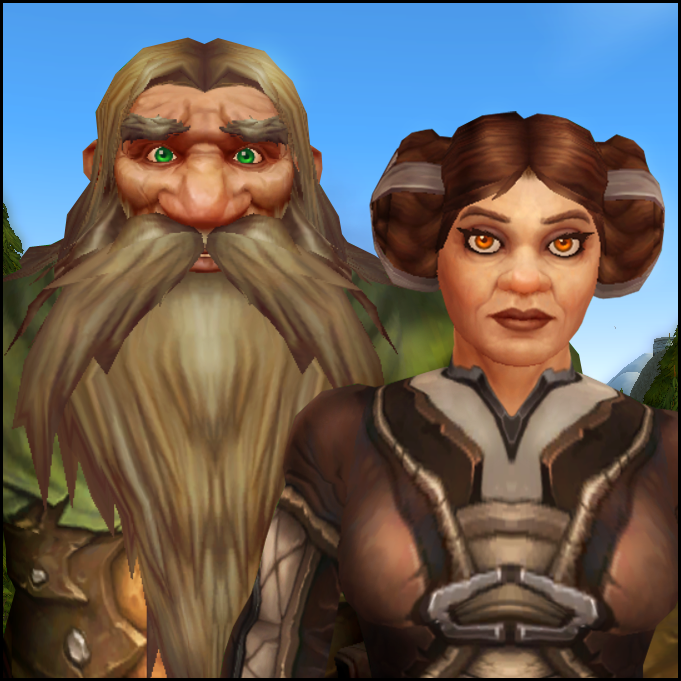 The draenei’s descriptions hadn’t prepared Ringo and Beli for the reality of the Exodar. It was not a “ship,” nor a “palace,” nor even a “temple,” as the dwarves thought of those terms. “That’s a bloody big crystal, that’s what that is,” Beli breathed, when the glowing bulk of the Exodar finally came into view against an overcast sky. Ringo was on the last chorus of “Good King Bronzebeard” when the draenei joined in. So they dripped and glittered. With that, Ringo drained his mug, blew the foam from his whiskers with appreciation and sat down at the long table in the forest. “Well, surely you don’t actually believe in Greatfather Winter, do you?” asked an oddly lovely draenei woman across the table. Beli dropped her cutlery onto her plate with a clatter. The guests all fell silent. Ringo Flinthammer was having fun. Behind him, Beli jogged along, holding her warhammer with both hands. Ringo and Beli couldn’t see the glowing crystal through the trees from where they were, but it lit the leaves and branches of the visibly mutated plants as the dwarves crept through the underbrush. “If I said I saw figures around it, why would that make you want to sneak up to the crystal?” Beli hissed quietly, wishing she was sitting before a roaring fire in Lakeshire. Everything about the island was wrong. It was Frostmaw who noticed it first. The bear hadn’t wanted to step on the grass and whined when Ringo tried to force him. Something had warped the grass into spirals with serrated edges. They were harmless when stepping straight down on them, but dragging something past a blade of grass would cut the skin with a dozen tiny cuts. Ringo and Beli had to stomp a path of flattened grass for Frostmaw before he would follow, and the rest of the time on the island, they tried to stick to clearings with no grass, or with shorter and stubby grasses unlike the warped sawgrass along the shore.